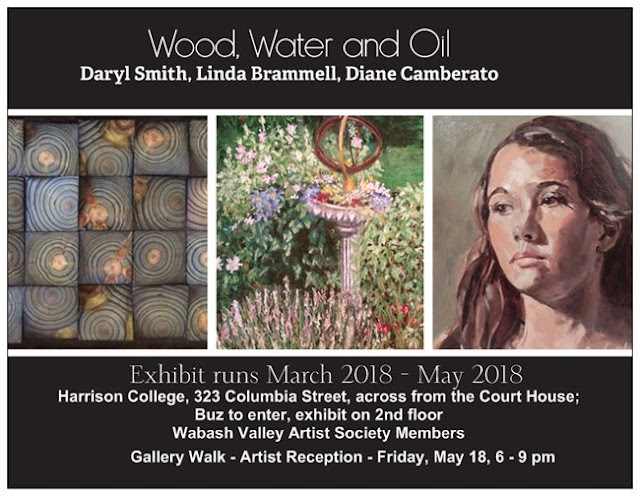 Harrison College latest WVAS exhibit - Daryl Smith, LInda Brammel and Diane Camberato will exhibit their work from March - May. Harrison College, 323 Columbia Street, 2nd floor, across from the Courthouse, Lafayette, Indiana. You can recognize the building by the blue awnings along the front of the building. Just ring the buzzer and you will be let in. 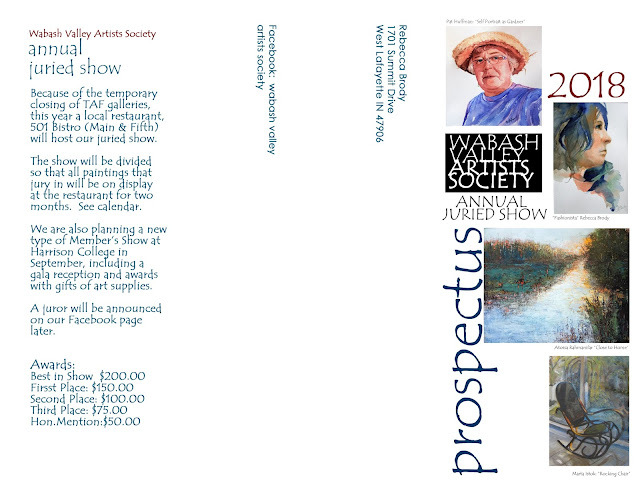 Take the elevator to the 2nd floor to see an amazing exhibit! 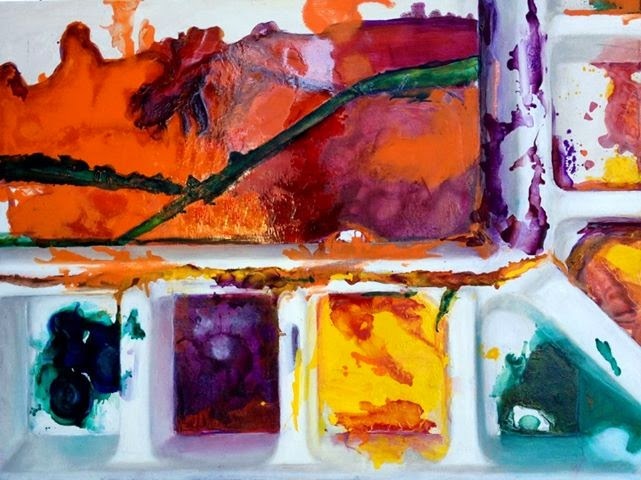 There will be an artist's reception the night of the Lafayette Gallery Walk, May 18, 6 - 8pm. "Paint In" at Barnes and Noble!